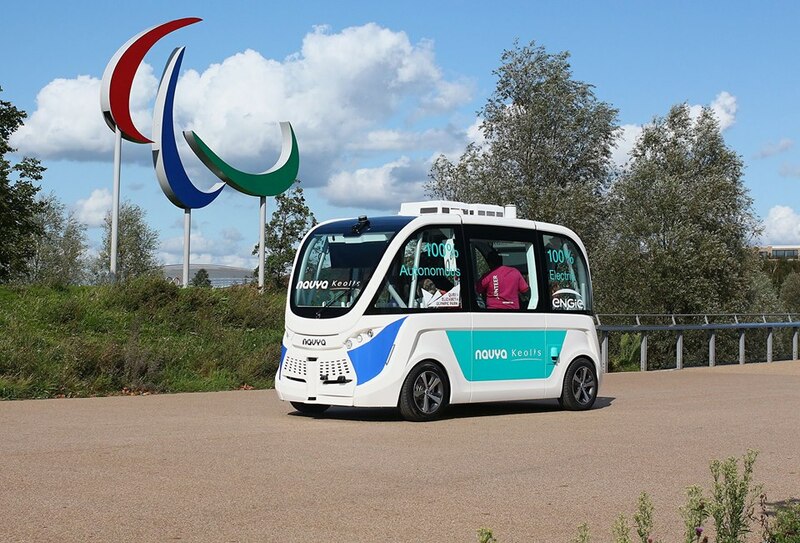 Visitors to the Olympic Park this month can take part in a self-driving vehicle trial. Those wanting to take part can hop aboard the free service in the north of the Park and experience a new and developing technology. The shuttle buses use state-of-the-art technology, including sensors, cameras and GPS mapping to navigate the route. And while there will be an operator on board to answer questions, the service will be completely autonomous, so everyone on board can sit back, relax and enjoy the scenery. Developed by Navya, a leading name in the progression of smart and sustainable mobility solutions, and delivered at the Park by Keolis, a leading global transport operator, with the support of Engie, Here East and Our Parklife, the 100% electric vehicles are being tested in response to the increasing demand for smart new mobility solutions for busy urban environments. Keolis and Navya have already been trialling the vehicles in France, USA and Denmark and are looking into the possibility of using them in a range of locations including airports, university campuses and shopping centres. As a centre of innovation and sustainability, Queen Elizabeth Olympic Park is the ideal location to trial this new approach to advanced mobility. Working in partnership with London’s clean-tech industry, the Park is rapidly becoming a world-leading test bed for trialling new approaches to meeting the global city-based challenges of our time. This autonomous vehicle trial is the first in a programme of initiatives that will lead to the trialling of fully autonomous, road-worthy vehicles on the Park by 2019.